Thanks to gravity, it's always better to clean your home from the top down, but try not to run out of steam when you get to the bottom. While they may not be at eye level, your floors play a big part in the overall cleanliness of your home and are deserving of the same attention you give to your countertops or appliances. Each time you enter your home you bring some of the outside world in on your shoes including dirt, germs, bacteria and pet waste, which, in addition to being unhealthy also contribute to the look and integrity of your natural stone flooring. A regular maintenance routine with the right products will leave you with a clean saturnia floor that will be the envy of the neighborhood, help protect your investment, and enhance the look and feel of your home. Purchase a no-rinse, streak-free, neutral floor cleaner, designed for use on a variety of flooring surfaces, so that it can work for you throughout your entire home. Dilute the product according to label directions. Submerge your non-abrasive mop of choice in to the solution and wring it out. Damp mop the entire surface area, and allow your clean saturnia floor to air dry before using. Heavily soiled or stained tile or grout requires a more intensive cleaner; source out a product that is formulated for use on natural stone and dilute according to label directions. Apply the solution liberally to the heavily soiled area. Allow the cleaner to stand for 3 to 5 minutes. Using a non-abrasive sponge or brush, agitate the surface, adding additional cleaning solution if necessary, taking care not to mar the stone. Remove the soiled solution with your mop or a soft sponge. Rinse the area well with clean water. Repeat the cleaning, removal and rinsing process as needed. Once you have a clean saturnia floor, keep it that way longer through sealing, while bringing out the natural beauty of the stone. Choose a combination color enhancer/sealer for your unpolished saturnia tiles, or a premium stone sealer for highly polished stone. Protect nearby surfaces not to be treated. Use only on clean, dry floors. Work in sections, to apply the product using a low pressure sprayer, paint pad, roller or brush, until the area is covered, taking care to prevent pooling. Allow the enhancer/sealer or premium stone sealer to stand for 5 minutes. Buff dry with a clean, dry towel. If a second coat is needed, allow the first to dry thoroughly before reapplying. For best results avoid foot traffic, staining or soiling for 48 hours; product will be cured completely in 72 hours. Repeat the sealing process every 6 to 12 months as needed. Wipe up spills as they happen. Place mats at all entrances and encourage family and guests to remove their shoes at the door. Sweep or vacuum high traffic areas daily, using a soft bristled broom or vacuum head. Establish a consistent cleaning routine. Use products developed by industry experts. Damp mop several times a week to avoid stains and build up, which can be hard to remove. From regular, daily cleaning methods to the more intensive cleaning and repairs, we can guide you through the process for your natural stone surfaces. For help diagnosing the condition of your stone and deciding what products you need, download our free DIY Stone Cleaning Checklist below. 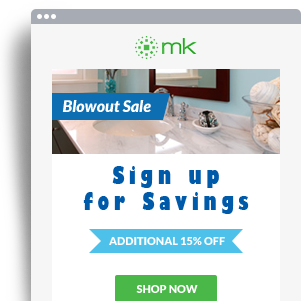 You can also send me an email with any questions you have at kevin@marblekareproducts.com or contact us at 561-994-4668 for help. Streaks - The slick, glossy surface of polished granite is susceptible to streaks, caused by many no-rinse products, or ones which may be harder to rinse off. Residue - Product that is left behind during cleaning can accumulate over time and leave an unsightly film. Etching - Granite shower products containing vinegar, citrus or other acidic substances may possibly etch the surface, and lead to costly repairs. Discoloration - Cleaners with bleach boast superior cleaning and disinfecting powers: the fact is that bleach can weaken the structural integrity of your stone, break down the grout and discolor your granite. Dull appearance - Products that are abrasive or acidic can wear down the shine and protective sealant on your granite. There is a big difference between an ordinary shower cleaner and a granite shower cleaner; read the fine print as most state that they're not safe for use on natural stone. Shower enclosures made from cultured marble, acrylic or fiberglass are non-porous and virtually indestructible, but the beauty of natural stone, and what gives it its depth, shine and unique look is the fact that it breathes, has layers and as with everything else found in nature, is vulnerable. The best way to safeguard your investment, avoid costly repairs, and clean and freshen your granite shower, is to use products specifically formulated for use on granite and other natural stone surfaces, by a company that understands the properties of stone, through years of experience in the industry. Spray a ready-to-use product daily, immediately after showering. Wipe down the shower surface with a rubber squeegee. For use on a dry shower, spray down the area and wipe it down with a wet sponge or cloth, and allow to air dry. For light soiling, spray on product and wipe down with a scrubbing sponge or terry towel. For heavier soiling, spray on the product and allow it to sit for a few minutes to penetrate. Agitate the surface with a non-abrasive sponge or scrubber. Rinse with clear water. Wipe down with a soft cloth. For heavily soiled granite or grout, dilute the product according to label directions. Apply the solution liberally with a sponge. Allow to stand for 3-5 minutes. Gently agitate with a non-abrasive brush or scrubbing sponge. Remove the soiled solution with a soft sponge. Clean and dry the shower thoroughly. Apply product generously, using a terry or lambswool applicator. Allow product to stand for 5 minutes. Buff the surface dry with a clean terry towel. A second coat may be applied after a waiting period of 45 minutes. Allow the product to cure for 48 hours prior to using your shower. For more help with caring for every granite surface in your home, download our complimentary Guide to Complete Granite Care Guide below! Routine maintenance such as daily sweeping or dry mopping, bi-weekly washing with a neutral floor cleaner, and quick clean up of spills, is highly recommended, and can help prevent the majority of stains, etching and scratches that can ruin the look and feel of your tiles. More intensive maintenance includes applying a stone sealer every six to twelve months, and if your tile should become worn, scratched or dull, granite restoration techniques. If you're keen to do it yourself, polish granite floors with caution, and consider hiring a marble restoration specialist to prevent further damage. Dirty/Grimy - An intensive cleaner can take care of heavily soiled granite flooring, as it penetrates deep in to your grout and stone to dissolve most stains and tough grime. Chipped/Cracked/Minor Holes - Invest in a hole repair kit, including filler (be sure to use transparent filler for granite), hardener, protective gloves, and a myriad of other supplies to complete the job. Minor Scratches/Slightly Dull - A non-wax, mildly abrasive granite polish may be used to remove minor scratches, and restore the shine to your floors. Scratched/Worn/Dull - This type of extensive damage requires more intensive restoration, best performed by a trained, experienced professional, but if you are going to attempt to do it yourself, polish granite floors knowledgeably following the method detailed below. A specialized floor machine, equipped with a tank and driver pad, and designed for use on natural stone tile surfaces. Varying sizes and grits of diamond refinishing pads. Natural stone sealer and lambs wool applicator. 1. Get organized – Save time and frustration by clearing both your schedule and your work area. Choose a weekend free of company or commitments. Remove all furniture and accessories, leaving a bare floor surface. Sweep or vacuum, and make note of problem areas. 2. Renew – Breathe new life in to your granite; this first step opens up the pores of the stone as a new layer is revealed beneath the old. As you move through the series of pads, each one finer than the last, the pores will begin to gradually close. Place the first set of pads on the floor machine, starting with the coarsest grit. Move the machine over the entire surface area of the floor working from edge to edge, to remove scratches and stains, and expose a new layer of granite. For optimal results, repeat the procedure with this set of pads three times. Change the pads for the next finest grit, again working the machine over the entire area, to remove any scratches left by the first set of pads. Once you are satisfied that all surface scratches have been removed, move on to the next step. 3. Hone and Polish – This step smoothes out the surface of the floor and brings out the shine. NOTE: Before continuing, check again for scratches; any that have been left behind will be made more noticeable during this phase of the process. Proceed with the floor machine, moving on to a finer grade of pad, closing the pores of the granite and revealing the shine. Continue to change out the pads for finer and finer grits, until you reach the desired level of high gloss finish. 5. Seal - Your final layer of protection. Use a premium stone sealer, applying to a clean dry floor, according to label directions. Reapply your sealer every six to twelve months, depending on traffic levels. Allow 48 hours for the sealer to cure for best results. A DIY granite floor polishing project isn't always for the faint of heart, but you can always call us for help! ou can also email me directly at kevin@marblekareproducts.com or download our free Granite Care Guide below to get started. If you read it on the internet, it must be true, right? Wrong. For as many facts as you'll find when surfing, there is an equal amount of fiction, and while a lot of that misinformation may be harmless, taking the wrong advice can not only be expensive, but dangerous. When it comes to learning how to clean limestone, stick with the experts, or risk causing irreversible or costly damage, to your natural stone tile. Water containing CaCO3 evaporates, leaving behind sediment; when the area fills with water again, its weight packs down this sediment, creating limestone. Sea creatures such as mussels, coral or clams, contain calcium carbonate in their bones and shells, and when they die come to settle on the ocean floor. The pressure of the water compacts this material over time to make limestone. Due to its composition, limestone is typically light in color depending on the addition of other types of sediment or impurities, with shades ranging from white to tan or gray. It is a very soft stone, which, if scratched, crumbles to powder; should it come in contact with acidic liquids or harsh chemicals, limestone will effervesce, bubble and deteriorate, effectively destroying the stone. Homemade cleaners are gaining popularity, as housekeepers and homeowners alike look for cheaper, greener solutions for removing dirt and grime. Whether used alone, or in a list of ingredients, vinegar is commonly referenced on Pinterest, blogs and forums across the internet, for cleaning everything from windows to floors, and even recommended as a solution for how to clean limestone. Vinegar, along with bleach, or any other acidic substance will eventually erode the surface of the stone, and is by no means safe to use, reinforcing the need to seek out professional advice when it comes to how to clean limestone, or for the care and maintenance of any of the natural stone surfaces within your home. For kitchen or bathroom counters, where daily maintenance is required, a neutral, multi-surface cleaner is recommended, to cut through everyday grease and grime, reduce water spotting, and leave a streak free shine. For best results, use a soft cloth or sponge, clean up spills immediately and use coasters, trivets and cutting boards to avoid knives, hot pans or acidic liquids from coming in direct contact with the stone; at the end of each day, use a complete countertop care product, to clean, polish, condition, enhance, and protect. If you're wondering how to clean limestone flooring, the same advice applies: vacuum or sweep using a soft bristled broom or brush, and wash floors one or more times per week, using a neutral no-rinse floor cleaner designed for use on natural stone flooring. Use felt pads under furniture to prevent scratches, and clean up spills as they happen to avoid staining. Once stains or heavy grime take hold, a more intensive cleaner is required to restore the natural beauty of the stone. Choose a product that will penetrate deep in to the dirt, dissolving it so you can easily rinse it away. If you have any questions about the proper care and maintenance of your limestone surfaces, pleae call 561-994-4668 to speak to myself or someone on our team for step-by-step guidance on what you'll need and how to use it. You can also email me directly at kevin@marblekareproducts.com or download our free Stone Cleaning Checklist below to get started. If you look on their company website or even the bottle itself, you'll see that you can use Windex on marble, granite, ceramic tile, and a host of other surfaces besides glass, without fear of damage. The age old formula that has been underneath kitchen sinks for decades is made primarily from water and ammonia, and is perfect for shining mirrors or windows, but your granite or marble counters can average more grease and grime in one day than your windows or mirrors see over the course of a year. The goal is to make cleaning your home quick and easy, but if you use Windex on marble or other stone surfaces, expecting to just spray and wipe, you may be in for a surprise. While this method works well on glass, when it comes to spills, grease, stains and soil, it may take much more time, elbow grease and product than you'd expect, to get the look you want to achieve. Rather than use Windex on marble, choose a product designed and formulated to clean your stone counters safely and effectively, cutting through grease and heavy soil the first time. If you like the idea of a multi-purpose cleaner, look for one that cleans and polishes at the same time, to eliminate one more step in your daily routine. With the addition of a polish, you'll achieve a richer look to the stone, enhancing the subtle colors within and making future clean ups a breeze. Selecting the right product for the natural stone surfaces in your home easy: our maintenance and care guides can point you to the products you need, and walk you through step-by-step, to tell you exactly how to use them. You can also email me directly at kevin@marblecareproducts.com, or call our office at 561-994-4668, to speak to myself or another team member about how best to care for your marble or other stone surfaces. Despite its name, cultured marble has no better taste, manners or education than any other surface material. If you're thinking about adding it to your kitchen or bath, there are some things you should know, and questions to ask, before you decide, including: What is cultured marble, and how do I know if it's right for my home? Cultured marble is a man-made product, that is a combination of polyester resins mixed with marble dust and pigments. Once it's blended, this precise mixture is then poured in to a clear, gel-coated mold, virtually any size or shape you desire, and left to set. The purpose of the gel coat is to provide a protective outer layer that is both durable, transparent, non-porous and resistant to most stains. Vanity tops with integrated bowls. One piece shower unit including floor, surround and ceiling. How Does Cultured Marble Compare in Value to Real Stone? While this man made product does contain marble dust, that's where any comparison to quarried marble ends. When you get involved with marble and natural stone, you're looking at a completely different price point when you put those types of materials in your house, so when asking the question: "What is cultured marble valued at in relation to real stone, and what is the resale?" it's important to note that while you may not see a return on your investment, that doesn't mean it's not a cost-effective product to install. Flexibility - Because each item produced is individually cast from a mold, it has the ability to conform to any desired shape, rather than trying to buy or cut a product to fit your space. Reduced cost - Cultured marble is much more economical than quarried marble. Durability - If properly maintained, this product will remain strong, resistant to chips, dents and staining. Mold and mildew resistant - Using silicone, rather than porous grout to seal seams, greatly reduces the chances of either one taking hold, or of a leak developing. Color choice - Creating a custom color is easy as pigment is added along with the other ingredients. Seamless living - If you prefer the look of smooth, uninterrupted lines and an integrated sink bowl, this is the product for you. Resale - While you're guaranteed an increase in the value of your home when you add natural stone, that won't be the case with cultured marble. Scratching - Abrasive cleaners or materials can mar the surface. The absence of "wow" - While pleasant to look at, you'll be missing out on the wow factor that natural marble is famous for. There are specialty products on the market specifically designed for polishing, but for daily cleaning almost any multi-purpose counter cleaner will do. Because it is susceptible to scratches, only non-abrasive cleaners should be used, along with a soft cloth or sponge, and though it resists many stains, use caution with dyes, perfumes and acetone (nail polish remover), all of which can damage or discolor the surface. If you have further questions about cultured marble, or about any man-made or natural stone surface in your home, call 561-994-4668 to speak to myself or someone on our team. A surprise is defined as "an unexpected event that creates a sudden feeling of astonishment or awe, and typically invokes a happy response." But not every surprise is a good one. If you're preparing to re-grout tile in your home, the best way to avoid any unpleasant surprises is to know what you're getting yourself in to before you begin, and making sure you have the right tools to complete the job. Sanded - With the addition of sand, this type is more stable, and better suited for wider grout joints over one-eighth of an inch, to inhibit movement. It is not recommended for delicate tile materials such as glass, as it may scratch. Unsanded - Preferred for narrower grout joints. Why Should I Re-Grout Tile? These problems won't go away on their own, or fix themselves, and the longer you leave it, the more damage will occur, widening the scope and cost of the project. What Causes Grout to Deteriorate? Clean your tile floors using the right cleaner and the right tools, avoiding harsh or abrasive chemicals, and using a string, sponge, or cloth to wipe. Prevent water pooling by cleaning up spills and allowing floors to dry thoroughly after washing. If your grout requires sealing, do so according to the product recommendations, to prolong the life of your grout. What Have I Gotten Myself In To? Home repairs and renovations are notoriously known to balloon out of control; often, a quick and easy weekend project, becomes a herculean task filled with trips out for more tools, materials and sometimes even a call to a professional to finish or correct the job. If you're looking to re-grout tile, forewarned is forearmed: knowing the scope of the project before you begin can help you decide if you're up for the challenge, or if you'd rather have someone else do it for you, keeping in mind that this is a very time consuming, hands-and-knees job that will need to be done in small increments. Before you can re-grout tile, you'll need to remove the old grout first. Your local home improvement store should have everything you need, including a grout scraper, but be careful: those with carbide tips may last longer, but if you should slip you may damage your tile, and if you have stubborn grout, you may need a more specialized tool. Next, clean the joints, removing all dirt and old grout, using a soft cloth and then your vacuum. Follow product recommendations to mix and apply your new grout. Seal if necessary, using a grout sealer formulated for use on natural stone tile, that will seal, penetrate and resist stains and liquids. If you have questions about your re-grouting project, or about anything else related to the cleaning and maintenance of your tile and natural stone surfaces, feel free to email me directly at kevin@marblecareproducts.com, or call our office at 561-994-4668, to speak to myself or another team member. Additionally, check out the free stone cleaning guide below, which is full of valuable information on cleaning products, procedures and more. Everyone could use a little more color in their life, especially in the kitchen. Applying a countertop color enhancer to your natural stone counters can help you achieve your goal, but before you tackle this project, make sure the type and color of stone you have will benefit from this type of product, and that you know when and how to use it. Normally this is true, but when it comes to using a countertop color enhancer, there really is no best time to use it. What's more important is whether or not the type and color of stone you have will benefit from the application. Light colored stones with little to no color variation will show little to no change, but those that already have color in them will pop. What is a Countertop Color Enhancer? Whether you use a solvent or water-based product, a color enhancer will help bring out the best in your stone naturally, without a polished finish. One of the best comparisons is to how a stone looks underwater; if you've ever marveled at the color and details of a stone picked fresh from a river or stream, only to have it become something much more ordinary after it dries - that is what a color enhancer can do for your stone counter or backsplash, highlight the natural colors and details that you originally fell in love with. Highlight the unique characteristics of the stone. Safe to use indoors or out. For best results, use your countertop color enhancer on a honed or matte finish, and make sure it's a stone that will pick up some color. If, for example, you have a very light material, such as a white marble, even if it is honed, you won't reap any benefits from a color enhancer, as there is no underlying color to be brought out. Natural stone countertops, backsplashes and flooring can all benefit from this product, bringing out the richness and luster of the stone without the shine of a polished surface, helping you fall in love with your stone all over again. Make sure the area to be treated is clean and free of wax or any other type of coating. Protect any nearby surfaces that are not to be treated. Test a small, inconspicuous area to establish the application method and to preview the results. Liberally apply the product, using a paint pad, roller, brush, or a sealer applicator, taking care to prevent the product from pooling. Wait 5 minutes to give it time to absorb into the stone. Buff with a clean dry towel or terry cloth. If a second coat is desired, allow the first coat to dry thoroughly before proceeding. Once dry, re-apply the product, and wait another 5 minutes before buffing. Protect the treated area from soiling or liquids for 48 hours. If you have further questions about how to use countertop color enhancer, or about any aspect of the care and maintenance of the natural stone surfaces in your home, call 561-994-4668 to speak to myself or someone on our team. You can also email me directly at kevin@marblekareproducts.com, as well as download our free Stone Cleaning Checklist below. In the ongoing battle between man and nature, there is one recurring theme that frequently crops up in homes across the nation: Corian vs granite. If you're having trouble deciding (or agreeing) on whether to go with a man-made, or natural stone surface for your kitchen or bathroom, weigh the pros and cons of each carefully, as the choice you make will affect your level of satisfaction, and the cost, maintenance routine, and return on your investment. Around 50 years ago, DuPont invented the first solid surface material, made by blending together acrylic, natural minerals and pigments, known from that moment on, as Corian. While most commonly thought of as a countertop material, it can also be used to make furniture, lighting, and other items, and can be molded into almost any shape or size. When molten rock solidifies, igneous rock is formed: the most well known igneous rock today is granite, easily recognizable in homes across the country as a natural stone with many applications, ranging from flooring to countertops. Granite is hard enough to resist most abrasive materials, and strong enough to withstand a significant amount of weight, making it desirable for every day use, though its biggest selling feature is its beauty. Cost - This one is hard to measure, as it's impossible to make an exact comparison between the two materials. Both come in a variety of colors and finishes that can affect the price, as can the cost of installation. There are exotic granites that can push your renovation budget beyond its limits, while others are on par or even less than a high grade Corian. Durability - Both materials are durable, but here is where Corian may have a slight edge. Granite is susceptible to cracking more easily, and loses some of its strength along any seams on a longer installation, where as Corian is custom molded in to one continuous piece. Granite needs to be periodically sealed as well, in order to resist staining and make cleaning a breeze; if Corian should become stained, these can usually be buffed out. Corian is more apt to scratch than granite, though care should be taken with both to avoid direct contact with abrasive objects or knives; scratches can also be buffed out, though it should be noted that due to the thickness of the material, sections of Corian that have been repeatedly buffed, or deeply scratched may appear different than the rest of the countertop. Degree of Maintenance - Daily cleaning is required for both, and neither is particularly high-maintenance; the key to keeping either material looking new is proper knowledge, and the right cleaning products and materials. Resale Value - The depth of color, and the luster and richness of natural stone makes granite the clear winner in the debate between Corian vs granite, hands down, with granite being the most sought after finish in both new and resale homes today. Color Selection - Corian is available in hundreds of different colors, some mimicking those found in nature; with granite, they're all found in nature. If you have further questions about the natural or man-made surfaces in your home, feel free to call 561-994-4668 to speak to myself or someone on our team. You can also email me directly at kevin@marblekareproducts.com, and I'd also encourage you to download our free Granite Care Guide below. If you're fortunate enough to have marble flooring in your home, you'll want to preserve the luxurious look and feel, and protect your investment. The products you use to clean and maintain your floors are the key to their beauty, integrity and longevity, making it imperative that you choose wisely. Before you grab one of the many products down your grocery store or home improvement cleaning aisle, take note: if you use a product like Mop & Glo, marble floors may be ruined. For centuries marble has symbolized good taste and wealth, and is used today both inside and out, as a building material, sculptural medium and on floors, walls and countertops across the nation. Marble starts off as limestone, but when adequate amounts of heat and pressure are applied, completely recrystallizes, destroying any pre-existing sedimentary textures or fossils in the process. This prized stone is quarried from all around the world, with the largest volumes coming from Italy, Spain, China and India. Marble is primarily white, but is found in other colors as well; black veining is caused by carbon impurities, green from talc and/or mica and red and yellow from iron oxides. This gorgeous stone is similar to granite in terms of hardness, strength and weight, but is more susceptible to damage from corrosive or acidic materials, because of the calcite crystal contained within. Is Mop & Glo Marble Floors Worst Enemy? Mop & Glo has been around for years and is a permanent fixture on store shelves, but is it safe to use on marble floors? According to the label, yes, but in actuality, the polymers, or wax, contained within will not only block the pores of the stone, preventing it from breathing, but they leave the surface vulnerable to scuffs and scratches, and a magnet for dirt. In the case of pure white marble, these same polymers can discolor or yellow the marble leaving it unsightly, and in need of restoration or repair. When it comes to using Mop & Glo, marble floors should be avoided; as a professional I have seen many cases where a product of this type was put on so heavily, it required a great deal of effort just to strip it off the floor so that it could be polished naturally, as it should be. Using a product that costs just a few dollars in the store can end up costing your hundreds or thousands of dollars in repair. Dilute according to label directions. Submerge a soft sponge or string mop in the solution, wringing thoroughly. Damp mop the entire area, avoiding pooling. Allow floors to air dry. If you have any questions about how to best care for your marble floors, as well as any other natural stone surfaces in your home, feel free to call 561-994-4668 to speak to myself or someone on our team. You can also email me directly at kevin@marblekareproducts.com. Lastly, I'd encourage you to download our free Ultimate Marble Guide below, which is full of helpful tips on caring for your marble surfaces. Showing items 1-10 of 28.